The town council meeting of Tuesday, 20th January began with some disappointing news about the Conoco room. This room, above Louth library in Northgate, is host to hundreds of events and groups over the year. Councillor Eileen Ballard, who has been involved with running the room since 1991, reported that costs have had to increase as a result of Lincolnshire County Council's policies, so that a typical price during the day may be �35 rather than �20. "We feel that LCC have lost the spirit of that room," Councillor Ballard said. "The bills are crippling us." She reported that 388 groups a year use the room, and that some of them have left. "Many organisations that I love make use of this room," Councillor Neil Ward said. "It would be a great tragedy if it was lost." One of the reasons for the rate increase is the need for a caretaker to be on site all the time the room is open, due to fire regulations. Councillor George Horton commented on the difficulty of finding suitable meeting places for groups, saying: "Places are closing down. It is more and more difficult to have meetings." Councillor Jill Makinson-Sanders suggested contacting the portfolio holder for libraries, Nick Worth. LCC don't have a good record when it comes to listening to complaints about their library policies, however. 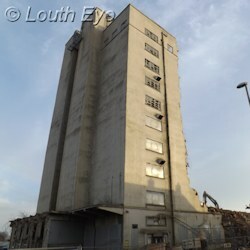 Louth's declining market came up for discussion once again. Councillor Laura Stephenson compared Louth's market with Mablethorpe's bustling one. "Why is our market dead?" she asked. "Mablethorpe's is a wonderful market," Councillor Ward said. He described Louth's as "withering away." "Our current market seems less vibrant than others," the Mayor, Andrew Leonard, said. "We've been sidelined." "What Louth market lacks is advertising and marketing" Councillor Horton suggested. He criticised ELDC for doing nothing to publicise it. "There should be the right person in the post who knows what they're talking about." "The biggest thing that's missing there is an attendant or a market superintendant who used to be there and can actually be there and run it. I believe they're only there for a certain short period in the morning," Councillor Trevor Marris said. Councillor Makinson-Sanders criticised the market's cancellation policies. She brought up an incident in Horncastle when there was an oil spill on the market. "Traders couldn't put their goods on the market stalls because of the smell of oil and diesel, and they still had to pay for their stalls." When I was out on Saturday I noticed there were very few stalls set out, and sadly it's become all too common. In all the time I've lived in Louth (and I was born here) I've never known the market be so under-occupied so frequently. The market manager, Esther Belton, is clearly not up to the task and should resign. Councillors agreed next year's budget for the town council. A precept of �213,135 was proposed for 2015/16. This would mean a 2.5% increase for a Band D property. One of the main reasons for the increase in tax is because central government is slashing its support grant by �7037, so it will only be �14955. "We have had to put some of the burial fees up," the Town Clerk, Linda Blankley, said. The majority of this budget, �122,522, is allocated for Community Resources. On the 7th May there will be Town Council elections, so the council voted in favour of holding an open evening to offer information about standing for office. This is likely to be in late February. "A lot of people aren't aware of what we do and what our limitations are," Councillor Ballard said. In planning, an application was made for temporary bunding about 5.4m high on land near Windsor House on the industrial estate. Some councillors criticised this on aesthetic grounds. Councillor Makinson-Sanders described the bunding as "scruffy", and said: "It looks like rampant moles have been there." "It's ugly," Councillor Fran Treanor said, calling it a "monstrosity." The town council voted to object to the application on the grounds that it was out of character and lacked detail. A development of 57 houses on Ramsgate Road was up for discussion. This was at the site behind the former Hi-Lite Signs, where a previous application had been made, but this one was slightly different. "We felt that the way they've rehashed it was a better layout," the Mayor said. Councillor James Pocklington expressed concerns about drainage, saying: "It seems to me they've underestimated how much [water] storage they'll need." However, Councillor Makinson-Sanders pointed out that Anglian Water will be installing a large tank on that road in the near future. The council voted to support this application. It will go to ELDC for a decision.